That’s four suggestions, in a row, to give something away. Surely the Chili Peppers are onto something you can apply to your blog. If you do a search on CoSchedule with the word “free”, you get a fair number of results. What are our blog giveaways and other free stuff here at CoSchedule? Free content builds goodwill, and people love to share free stuff with their friends and followers on social media. Free content is portable. E-books and other downloads are portable. You’re not demanding that people stay on your site to read and access them. Regularly creating free content keeps you familiar with the act of being a creator. 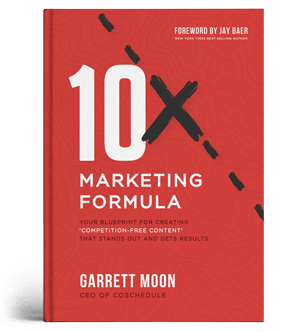 Jay Baer wrote about giving content away, and one reason he believes it is necessary is startling: Your audience expects it now. By not having blog giveaways on your site, you stand out in a negative light. Freebies have become so prevalent that even if it could be proven to be a negative tactic (which it really isn’t), you’d still have repercussions if you didn’t offer something. #Blog giveaways are so prevalent, it’s negative if you don’t give something away for free. Free content, such as an e-book that knocks people’s socks off, is how you build your network. This happens in two ways. First, your blog giveaway is so amazing it starts getting shared. Second, you mention others in your e-book and pretty soon they are sharing it. 2. Prove you’re an expert. You can say you’re an expert until you’re blue in the face, but sooner or later readers are going to expect you to back it up. Your blog posts do most of that work for you, but if you can offer free resources that supplement and expand on those posts (e-books, worksheets, etc. ), then you’re giving readers the proof they need before trusting you enough to buy what you’re selling. 3. Compare yourself to your competition. Ever noticed how blog copy within an industry starts to sound the same? It’s easy enough to “be inspired” (i.e. copy) others in an industry, but if you create unique resources, you set yourself apart from the competition. 4 ways #blog giveaways help grow an audience: networking, expertise, comparison, doorway. Giving away something of value is how you get your readers hooked. Just as pro guest bloggers advocate doing your best writing for your guest posts instead of saving it for your blog, you need to do the same for your blog giveaways. It has to be addictive. However, if your best content is free, be sure that any content you sell is…better. In other words, free content can’t be junk, but if you’re going to create content and put a price on it, it has to be even better. These reasons are particularly important for new bloggers, or bloggers who are still working at getting a serious readership. You have to show that you have the chops. Once you build a name for yourself, you don’t have to give as much away. People already know what you offer is going to be good. What might you give away? Knowing what to give away isn’t a trick, but the answer is going to vary for each blogger. 1. Something fun that arrives regularly. There’s a reason subscription services have become popular—people are signing up for boxes to be delivered each month with things like makeup, food, or toys for their dog. We like a little surprise to look forward to. You can do the same with your freebies. Designers, consider giving away a monthly printable design pack. I regularly look forward to several designers who send out links to fun print-cut-assemble projects each month. 2. Something that promotes continued education. 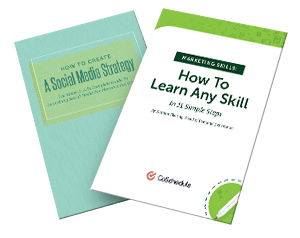 Marketers, provide training resources that are actually unique and not a rehash of everything out there already. Writers, give your readers writing help—from writing prompts to handy guides for fleshing out a plot. 3. Something that gives you a reputation. While on a quest to find or create the perfect weekly planner, I stumbled upon the chronodex. Developed by Patrick Ng, the chronodex was his answer to planning. It’s become hugely popular among planner fanatics, and a search on the chronodex will reveal people sharing their versions and how they use it. All of this from something Ng gave away for free. 4. Something you can continue to build on. That chronodex? That is a free item that people look forward to every year because it naturally needs to be re-issued annually. If you can create blog giveaways that you can build on, you create a loyal audience. You can also create items that can be purchased that add onto the original giveaway. Ng continues to provide updates, and he also highlights how other readers have been putting his chronodex system to work in their lives. He is turning something he gave away for free into a movement. Some are going to argue this point, but…it’s possible that you can give away too much. The reason there is disagreement on giving things away is because some bloggers are approaching it purely from the viewpoint of marketing, while other bloggers are actually trying to make their living off of content. For example, a blogger who is building a reputation for being a marketing expert might think giving everything away is a great idea. They are focused on establishing a reputation, and the more valuable content they have out there, the better. A blogger who is building a business creating knitting patterns and instructions can’t exactly do that. They need to sell the patterns. So how many blog giveaways is too many? When might you pull back on giving away content? 1. You are trying to make a passive income. If, for example, you are hoping to make a passive income in which you will sell documents, content, downloads, etc., you need to be careful that what you give away doesn’t have a negative impact on your sales. In this scenario, you ought to be giving away good content that shows you have the skills and potential for even better content, but you should not be giving away your best content. That’s for sales. 2. You’re using exclusivity as a driver for sales. Not everyone gets in. We like to know that we are part of a small group that made it in. We like knowing there are people who are not receiving this special knowledge because it makes our chances of success better. Think of a football game. When you are sitting in a crowd, standing up gives you a better, exclusive view. If everyone stands up, though, your view is no longer special. We like being part of what is special and exclusive both for how it makes us feel (important) and because we get a better view (imminent success). This requires a product that is so good, so clever, so desirable, such a status symbol, that people are frantic to get in on it. Everyone gets in, but only through specific channels. While no one is turned away, they have to meet certain standards or requirements in order to participate. This helps weed out those who aren’t as dedicated, willing to pay, willing to work, and so on. It makes the group who has succeeded at getting in know that everyone else is as serious as they are. This requires a product that is excellent, people have to be able to find it easily enough, and you have to have a method for keeping control of how it spreads (think DRM). We like #blog giveaways to feel something special, exclusive, and important. If your sales model is exclusive training for members, you simply can’t give everything away, even for an email address. 3. You built a strong reputation and want to bank on that. There is room for a shift in how much you give away over time if your goal was to build a reputation before reigning in your freebies. After a while, it might be time to ask a bit more for your free content. After a while, you might take that popular freebie and put a price tag on it. For example, Copyblogger’s famous blog post on how to write magnetic headlines now redirects not to the easy-access blog post, but to a section of their site in which they encourage you to sign up for their other exclusive content. That content is still free, but by using the same URL and pointing it to a landing page which funneled readers directly into a sales funnel, they made that popular content work a little harder for them. It isn’t as easily accessible. They now want an email address, and they expose you to the sales pitch of a landing page. Give away enough to prove your other content is worth the purchase. Give away enough to give your customer a chance for small success using your program or content so they trust you enough to make a purchase. Don’t give away the cow. Give away about 98% of the cow. That remaining 2% is what will get someone to buy. Exclusivity. People will pay for the opportunity to be part of something others aren’t. Sounds cruel, but it’s true. Detailed guidance. People will pay for detailed how-to instruction that helps them get their job done. Nothing vague, please. Be specific, and give people the know-how to achieve a concrete result. Custom content. People will pay for content created specifically for them. Instead of a generic report on how to get more traffic, they’ll pay for a custom report that takes their specific situation into account. Great experiences. People will pay for the opportunity to experience something worthwhile. People pay for #content that provides exclusivity, guidance, custom info, and great experiences. There will always be some who do not like giving an email address or anything else to get that freebie you are offering. Even if they do not have to pay, and even if they are free to unsubscribe and extract themselves at any time, they still do not care for it. I’ve given away my fair share of downloads on my own site over the years. One download that became popular over the years was a printable navigation log for VFR pilots. Thousands of downloads later, I realized I had nothing to show for my efforts. While pilots aren’t exactly my core group of readers, it still bugged me a little that I hadn’t capitalized on getting at least an email address. Even if 90% unsubscribed, it’d still be more return than I have today. But, despite knowing that, I still don’t collect emails. Because again—pilots aren’t really my target audience. To be honest, I usually give things away with no email requirement at all. I just prefer to do it that way. Seth Godin and Tom Peters do, too. Godin approaches it with the idea of “gift culture.” He doesn’t want any transactions, which is what asking for an email is, because a transaction has implications about the value of the exchange. So which is it? Completely transaction free, or at least an email in exchange? It’s what works for your audience. You can’t change people’s reactions to what you have to offer. Some simply won’t like it if they can’t click and download and bounce out on their merry way. But that doesn’t mean you have to acquiesce. Your blog content itself is free; don’t feel guilty if you offer bonus materials for the low low price of an email address. Giving away content is a fine balance between attracting and reassuring serious readers and customers to buy, and avoiding a feeding frenzy of people busily collecting e-books and nothing else. As with anything, it’s a process that requires constant watch and slight tweaking to understand what is best given away and what is best held back. What have you tried for your blog giveaways?